Making 'disjointed garage vibes', Darkstar talk Youtube clips and covers of Radiohead. 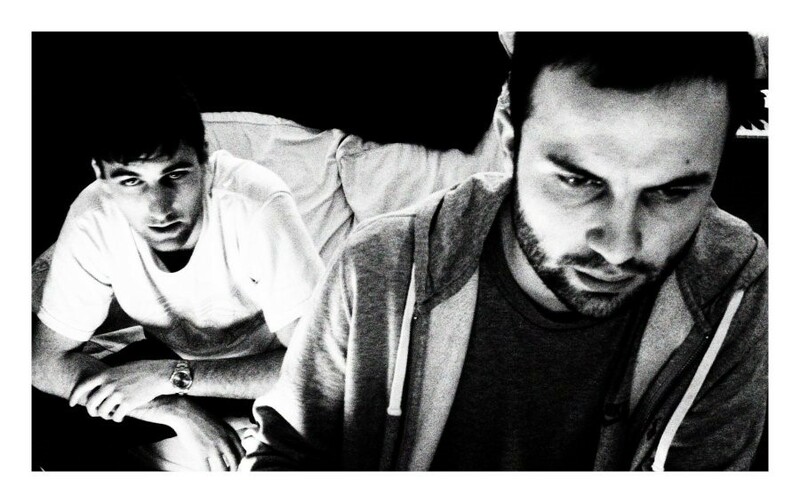 Darkstar create disjointed garage vibes laced with sultry vocals that hang forebodingly in the dense, club air. Their melancholy yet provocative vision of pop and dub has garnered them international praise and impressive associations with U.K. electronic music stalwarts Kode 9 and Various Productions. Whilst track 'Lilyliver' feels like a dark re-imagining of R'n'B, 'Need You' carefully writes the robotic eulogy of Hal's funeral. Such eerie sounds have bode well with the masses, with a series of highly acclaimed 12” released on the prestigious Hyperdub label building their strong following. With a remix of Radiohead's hit 'Videotape' for the upcoming Mary-Ann Hobbes compilation 'Wild Angels' on Planet Mu, upcoming single 'Aidy's Girl Is A Computer' on the much anticipated Hyperdub '5' compilation, and a brand new live set mere weeks away from birth, Darkstar are set to become the heirs to Joy Division's abstract pop throne. DazedDigital: Describe your brand new live set to us. Darkstar: Well, its four guys using four synths and drum machines, and generally just playing both adapted and fresh Darkstar material. It's about four weeks away from being a full, live show. DD: Are the visual productions an integral part of your live set? Darkstar: Not right now, but they will be! Our man Evan has developed a software called The Darkplayer for his Masters, and has created an application that allows us to choose the visual direction on the fly. DD: 'Lilyliver' is one of many tracks that distorted vocals to an interesting effect. Why the choice of warped female vocals? Darkstar: We liked Neleswa's vocal over the rougher instrumentals we made. It was bittersweet and suited where Darkstar was at the time. 'Lilyliver' is like Marmite; looking back at our tracks, it's my least favourite. DD: Your use of vocoder creates a haunting feel to your music. What do you think of T-Pain? Darkstar: T-Pain is an auto tune freak, which is technically different from vocoding. But yeah, I wouldn't mind the “I Am T-Pain' iPhone application he's just released! DD: Do you feel that it's important to defy genre pigeon-holing in order to keep your music interesting? Darkstar: I don't pay much attention to people bracketing things. Keeping music interesting is down to the artist; if you have the imagination and the need to experiment, then it'll move on. DD: Do you feel that you're part of a new breed of UK producers that is pushing garage in a new direction? Darkstar: I like the idea of a new type of garage, and I do think some producers have developed a certain style of 2-step that is interesting, but I think the rise of funky house will pretty much hold that development up now. DD: Head, Shoulders, Knees or Toes? DD: The up-coming Hyperdub 5 compilation sounds like a map of new UK music. Where do you feel you fit into it all? Darkstar: I'm not sure really! I'm happy with our contribution to the compilation but as to where we fit in as things develop our position becomes more unclear. Our sound right now is very different from 'Need You' or 'Aidy's Girl Is A Computer'. DD: How did you come about doing a Radiohead remix of 'Videotape' for the upcoming Mary-Anne Hobbs compilation 'Wild Angels'? Darkstar: It's actually a cover! Mary Ann got in touch asking for a track for her album and we did 'Videotape'. DD: What's your favourite YouTube clip?